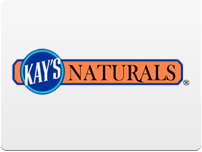 Better Balance is more than just the name of the company that has created the great-tasting, gluten-free products you’ll find under the Kay’s Naturals label; it is also their nutrition philosophy. They constantly strive to combine delicious flavors in low-calorie, low-carb recipes that contain plenty of fiber and absolutely zero grams of cholesterol. Better balanced food leads to a better balanced diet which is the key to a healthy lifestyle. 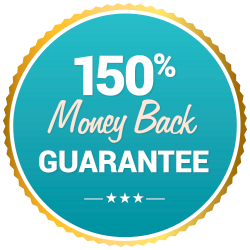 Get the protein your body needs with the 100% gluten-free line of Kay’s snacks and cereals. Get a more balanced snack with Kay’s Naturals by Better Balance from Diet Direct. These tasty snacks were specially formulated to taste great while providing nutritional benefits and complying with a variety of different diets. 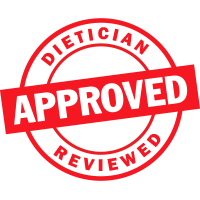 These diet snacks are high-protein, gluten-free, low-calorie, low-carb, cholesterol-free and even contain a healthy amount of dietary fiber. All of these healthy qualities add up to a better-balanced snack, which leads to a better-balanced diet. You’ll stay on track with ease by incorporating Kay’s Naturals chips, pretzels and other snacks into your diet. Kay’s Naturals high-protein snacks are a great way to add extra protein to your diet. They also work well for anyone who is following a high-protein, low-calorie diet. The small amount of carbohydrates included in these snacks also work well for those following low-carb diets. The addition of extra protein to your diet can result in accelerated weight loss. Protein works well to help you feel full, even when you’ve had to restrict the number of calories you’re consuming. It also helps with a variety of other health issues such as imbalanced blood sugar, low energy levels and weak muscles. The addition of fiber in these snacks also helps keep you full in between meals. Gluten-free snacks are good for those with a gluten intolerance or celiac disease. These cholesterol-free snacks can also aid in keeping your heart healthy. Kay’s Naturals snacks come in sweet and savory varieties. Get some of each to satisfy each kind of craving. Sweet high-protein snack options include cinnamon cookie bites, honey almond cookie bites, cinnamon toast pretzel sticks and almond delight protein puffs. Some of the savory high-protein snacks include jalapeno honey mustard pretzel sticks, crispy parmesan protein chips, veggie pizza protein puffs and cheddar cheese kruncheeze protein snacks. Sort these protein-filled snacks by flavor and number of servings. Opt for single-serving bags for yourself or larger bags if you’d like to share.